Webmasters and website experts often do a lot of SEO tweaks to rank better. However, most of the time, they fail to check the loading time of their website. 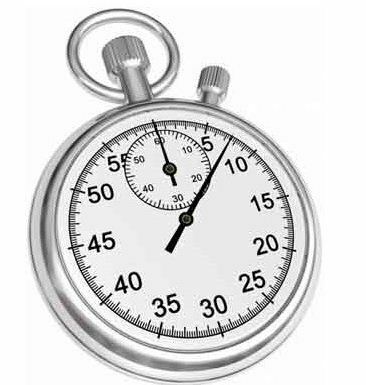 And so they are missing the main point: “search engines give credence to the page’s loading speed.” Moreover, people visit fast-loading sites and jump to another site when they have waited for more than 10 seconds elapsed time for a page to load. So always, you should have the user experience in mind when optimizing your website. With these points, no matter how cool your design and flashy your website is, if it doesn’t load fast enough to suit your visitors’ satisfaction (and patience), then it’s close to useless. In this article, we’ll be discussing some tips that can make your website load faster and smoother by several folds. Pop-ups make your website load slower for they have to wait for the java script snippets of codes to be processed and loaded and images that also consume bandwidth. Images are very useful in conveying messages more effectively, but they are the main reason for damaging the load speed of your website.A good tip is to reduce the size of the images using image converters or photo editing software. You can also crop the image and take only the part you’d want to show. The best image format for web is Portable Network Graphics (.png), a bitmapped image format that employs lossless data compression.Another suggestion is optimizing your images if to use the properties “Width and Height” for every image. By specifying width and height, the browser will not wait for the image to load completely. Meanwhile, it loads the remaining part of the page along with the image, which saves a lot of time. Wikipedia defines a web cache as a mechanism for the temporary storage of web documents, such as HTML pages and images, to reduce bandwidth usage, server load and perceived lag.Any person active on the Internet has both cached documents and received cached data from elsewhere on the Internet. Essentially, caching is storing data locally in the personal computer of the user for quicker access in the next visit.Caching will enable your website to load faster to your repeat visitors’ view, as it stores information to their cache. This implicates that they don’t need to load all the images and other stuff in your website again and again. Efficient coding is one of the keys to a faster loading website. A complicated script may take time to execute.Clean and compress codes (such as PHPs, CSS and java scripts) in such a way it is optimized for the browsers to interpret them. Also, remove unnecessary widgets and scripts that you don’t benefit from. Sure, there are many beautiful widgets that make your website look interactive, but they slow down page loading time because each widget/script is referenced from a different server. These HTTP requests adds to the loading time of your web page.If you really want to keep these widgets, move them to the bottom of the page. It takes more time to load if you place them at the first section of the site. Minimizing the spaces in between your content will remove extra bytes that need to be loaded by your browser. The smaller file size, the easier and shorter to load.If you’re unsure about this, you can review your HTML codes. Look for whitespaces, extra lines and extra tags (e.g. <font> </font>, <div> </div>) between codes. Making a website is easy but achieving a high rank or even making it just survive through the world wide web is quite a formidable task. Will your website be competitive enough? To improve your sites’ traffic pulling prowess, optimize your site not only for SEO’s sake but for your visitors as well. You don’t want to get them frustrated. One way to make a website faster that doesn’t have to do with the actual design is to get servers closer to your main visitors. It might cost more money, but it can be a good investment if it means users have a better experience. Wow! awesome things you have been shared with us. 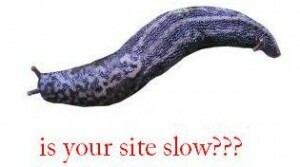 Page loading speed is very important, sometimes bounce rate gets increases for slow page loading speed. Sometime images are so beautiful to look but size of the image can be problem for loading page speed. This is why need to use small size pictures which can load faster in website. Cache is really irritating, this can be the way of problem of loading page speed. Sometime popups creates this type of problem, but popups can be a way of advertising this is why people use it but things are not going in the same way always time. But the real thing is this is really nice points which can be helpful for page loading.